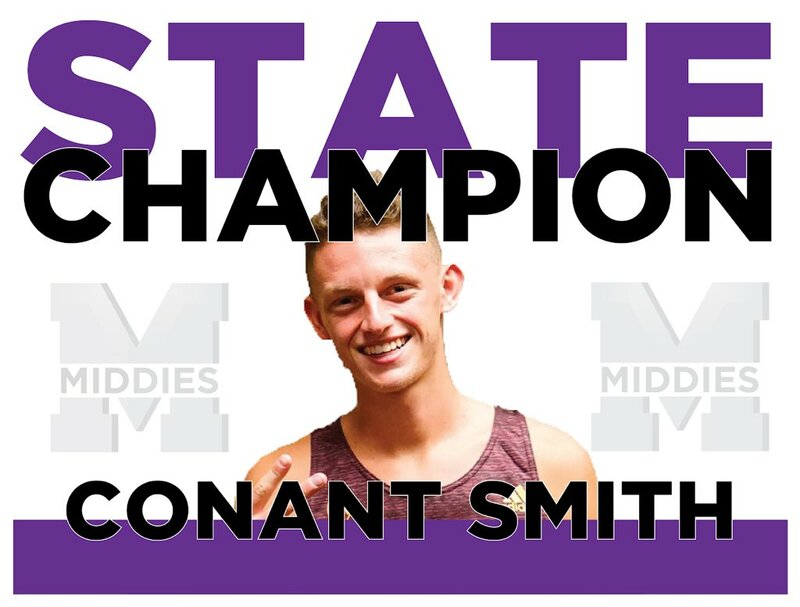 On Friday, February 8, during halftime of the Boys Varsity Basketball game that begins at 7:30 PM in Wade E. Miller Arena, Middletown High School will honor OHSAA Boys D1 Cross Country State Champion Conant Smith. Smith is a senior and committed to Arizona State last year to run Cross Country. He will begin attending the university in the fall. Conant Smith’s ring ceremony will take place at the Wade E. Miller Arena during halftime of the HS Boys Varsity Basketball Game. All visitors should enter through the Middletown High School entrance. The presentation will begin with a special performance from the Middletown HS Cheerleaders, then proceed with the ring ceremony to honor Conant Smith’s championship run in the 2018 OHSAA Boys D1 State Championship.